Personal Injury, medical malpractice, product liability, contracts, family law, government issues, real estate, trusts & estates, business dissolution, condemnation, construction, defamation, disability issues, labor & employment. Judge, 28th Judicial Circuit Court, City of Bristol, 2004-2012. Commonwealth’s Attorney, City of Bristol, 2002-2004. Member, The McCammon Group, 1998-2002; reengaged 2012. Former City Councilman, Bristol, Virginia. 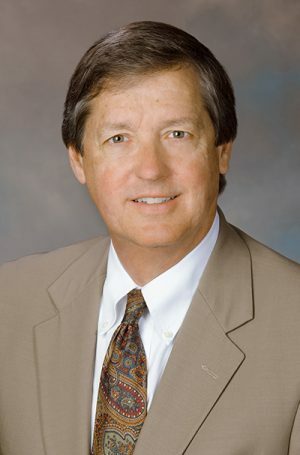 General Practice of Law: Larry B. Kirksey, PLLC, 1998-2002; Penn Stuart & Eskridge, 1996-1998; Woodward, Miles & Flanagan, P.C., 1976-1996. Past President, Bristol Bar Association. Former Member, Virginia State Bar Disciplinary Board. Former Chair, Ninth District Committee, Virginia State Bar Disciplinary Board. Former Member, Virginia Criminal Sentencing Commission. Former Member, Virginia Association of Defense Attorneys and Virginia Trial Lawyers Association. Member, Virginia State Bar and Virginia Bar Association. Member, Board of Trustees, Appalachian School of Law. Past President, Board of Directors of Children’s Advocacy Center. Rhodes College and University of Tennessee, B.S.